Damages on DirecTV, season six? Last week, we reported that Damages had been saved from cancellation via a new deal with DirecTV. The satellite TV provider has ordered seasons four and five of the Glenn Close drama totaling 20 episodes. The unfortunate reality for many fans is that it’s an exclusive deal so most will have to wait until the Damages episodes are released on DVD before they can see them. Michael Ausiello of EW recently spoke to executive producers Daniel Zelman, Glenn Kessler, and Todd A. Kessler to get some more details on the new arrangement. In the interview, Zelman said that their budget would essentially be the same as it had been on FX and pointed to the show’s affluent audience as being the reason. Should Damages end with season five? Production on the next round of episodes is scheduled to begin in January 2011. What do you think? Could Damages realistically last for six seasons or should five seasons be the end? Love the show. Just discovered it recently with the rerun airings. Great show – so well written and acted. More people could be like me and not know about it. I now own the first seasons. Will share with others. I have Directv so I am lucky. It can go on forever as far as I am concerned. So nice for them to save our beloved show!!!! Some of my “Damages friends” don’t subscribe to Direct TV, but I do. 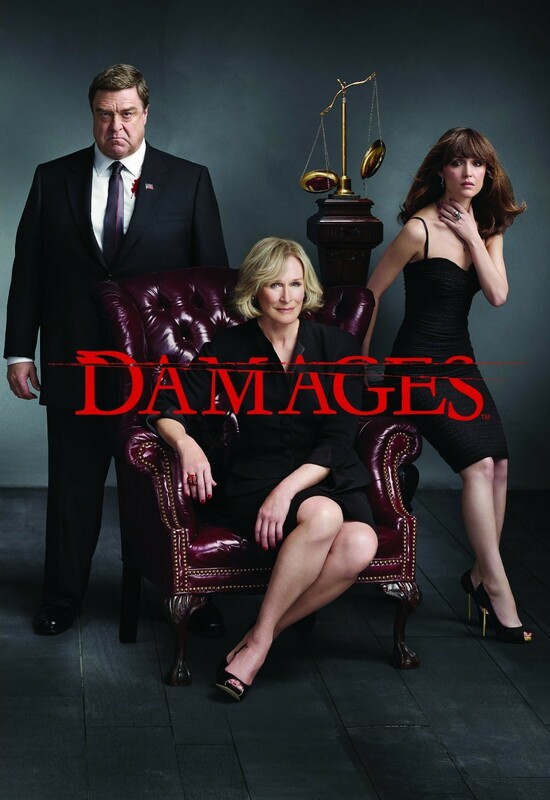 I love this show and I guess I will have to have a “Damages Party” each week to keep everyone in the loop. . .or convince them to subscribe to Direct TV. Either way, I really hope I can look forward to many more seasons of Damages and the excellence in acting and suspense that is offered through this TV drama! There is none other!!! I’ll happily wait for Netflix to rent it, or I’ll buy the DVDs. It’s a terrific thriller & should go on until Glenn Close gets bored with it. the deal with directv to follow the Saturday Night Lights model. I don’t have DirecTV and will have to wait for the DVD release (major sigh.) This is a major mistake on DirectTV to not make this available on cable.